I’m linking up with Amy of While Wearing Heels for the This is Me – June Self Portrait Link Party. Okay, so it’s July. But I loved the idea of adding an inspiring quote to your photograph, so I’m joining anyway! This quote by Thoreau has been a favorite of mine for many years. My mom wrote it on something, a card maybe, around the time I graduated college. When I look at my children, it’s what comes to mind. 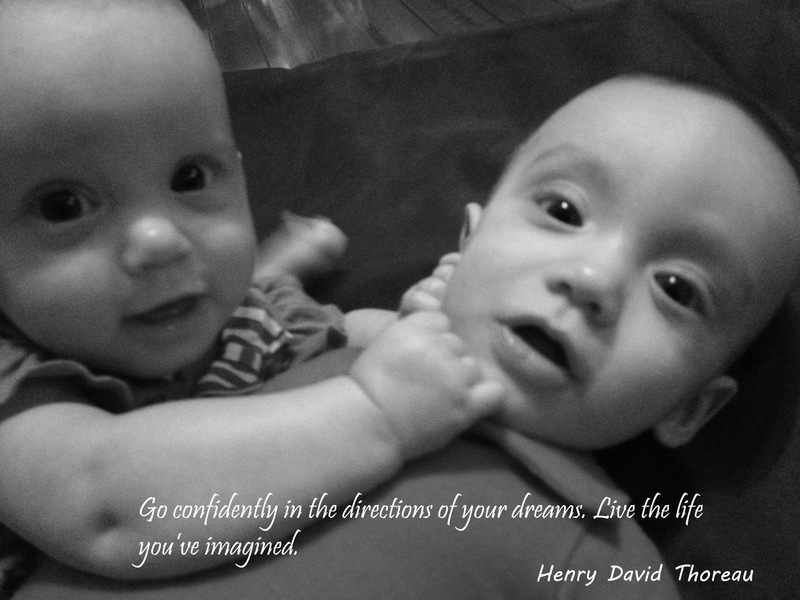 It’s my sole mission to facilitate learning, growing and dreaming for Lynley and Corbin. I pray that they become everything they dream to be one day. I’m am thrilled you joined the portrait party. What a wonderful and inspiring quote coupled with the sweetest picture. I love the meaning of your quote and that it was shared by your mom to you originally and now continues to be passed along and inspire those cuties of yours.